Some people think that it’s necessary to carry a notebook around and pull it out of your pocket after every meal; however, there’s no need to do this. You can wait until the very end of the day and then sit down and think about what you have eaten that day. Go through each meal and then remember the snacks or drinks you have eaten. 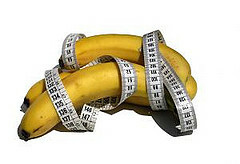 Even if it seems negligible, like calories in a banana, make sure to be honest. You probably don’t know how many calories is in every single food you will ever eat, so you will need some help in order to accurately log what you have been eating. If you type in a search engine, for example, “How many calories is in an apple?”, you should get a wide variety of responses that will help you out. You can also probably find great protein shake recipes. 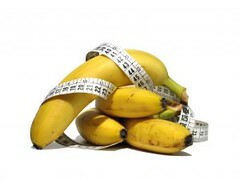 You can download apps such as Lose It that will help you log your calories throughout the day. If you don’t own a smartphone, you can use it on your computer or laptop by signing up for a free account on loseit.com. This will work out your calories for each meal and you can log the weight that you have lost or gained. Even if you go out for dinner, you can even log the calories in sushi, right there.